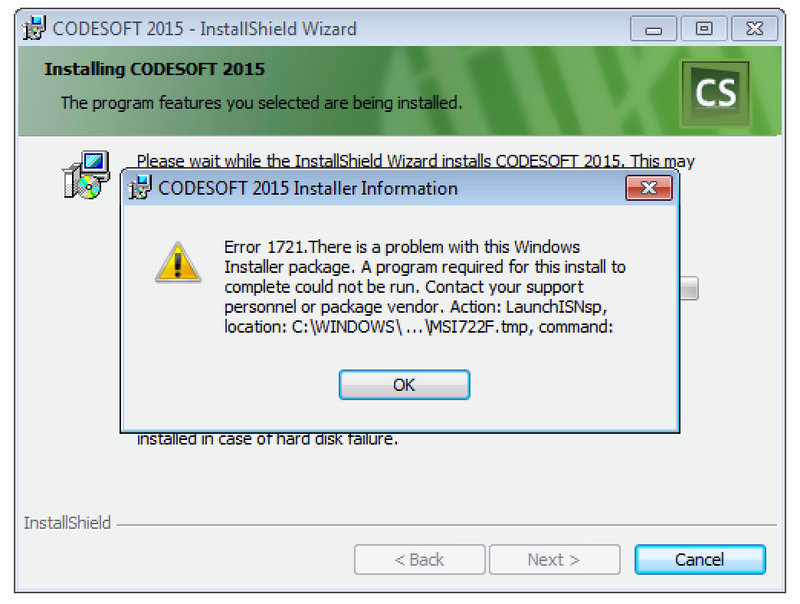 This Error Message Article explains the CODESOFT error message “Error 1721.There is a problem with this Windows Installer Package. A program required for this install to complete could not be run. Contact your support personnel or package vendor. Action: LaunchISNsp, location: C:\WINDOWS\…\MSI722F.tmp, command:” and details how to fix the underlying problem that caused it to appear. I suggest confirming the local admin rights and temporarily disabling (until the install is complete) any security / virus protection software.